Have you receive your free 500mb data from MTN this weekend, if your answer is no. It shows you're missing some great offers on your MTN sim which doesn't suppose to happen. In short word, Today am going to show you guys all you need to do to enjoy the free MTN 500MB data on your smartphone every weekend. This offer is available for all mobile, smartphones and including iOS devices. So let's get started. – Download from Google Play store 👉 HERE Or iTunes. – You can also text MYMTN to 5018, a link to download the app will be sent in as SMS to your phone. It is quite simple and short. Just *559*4# and your data bonus will be displayed on your screen display. 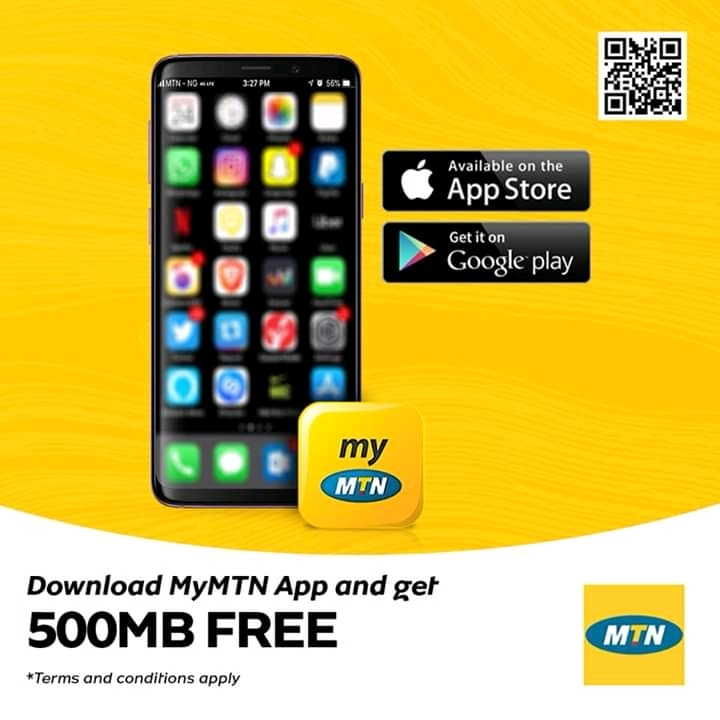 This offer seems to be sim selective and of course, If you have already rewarded with the free 500mb on MTN, You need to wait for a week before getting another free data.